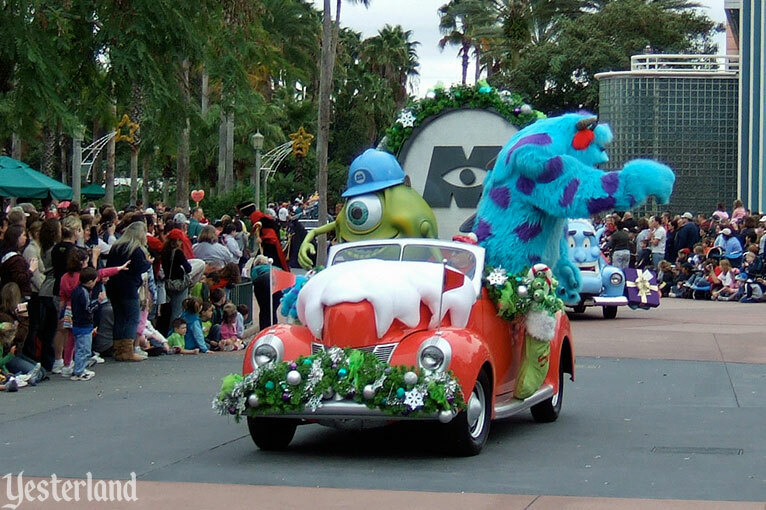 If this parade looks strangely familiar, there’s a reason. 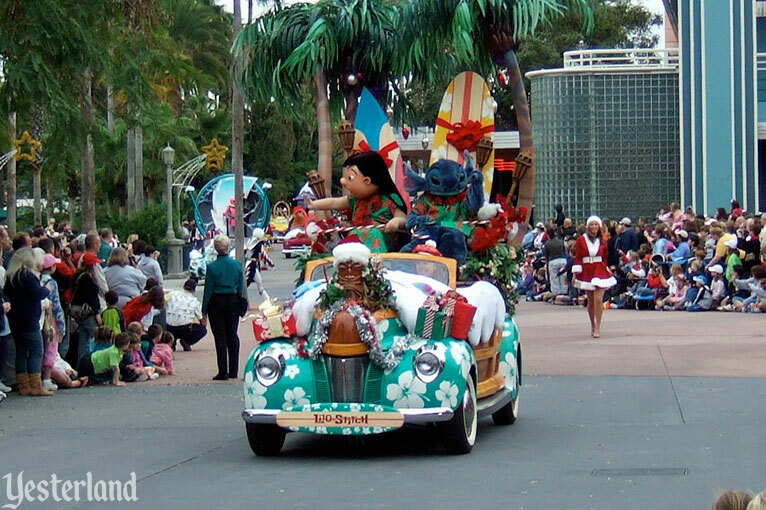 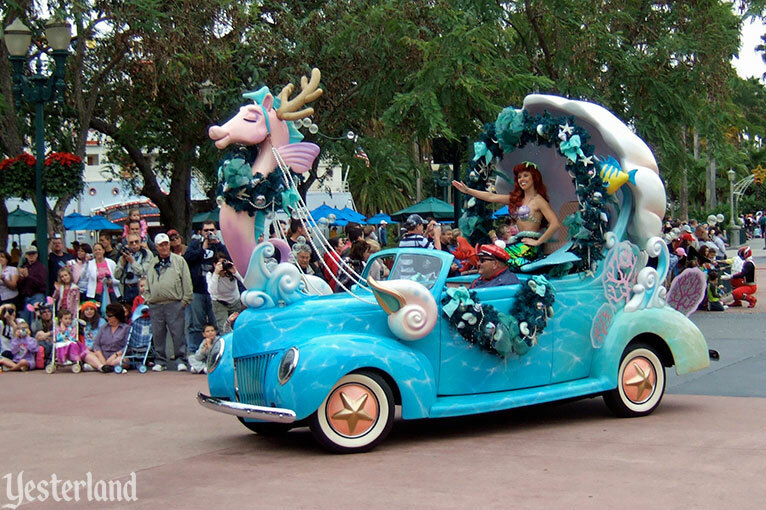 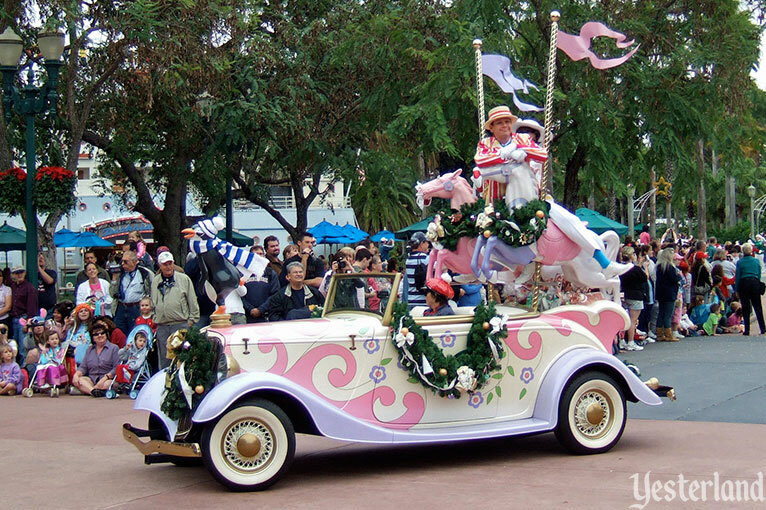 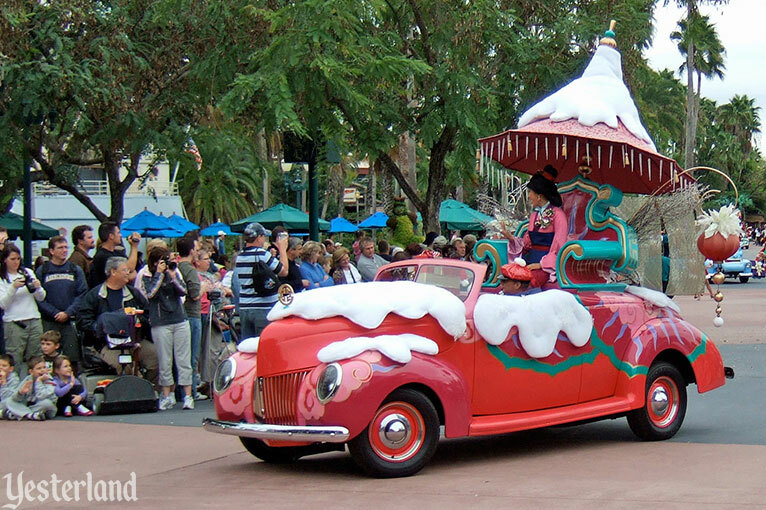 It’s a holiday—oops, I mean “Holly-Day”—makeover of the Disney Stars & Motor Cars parade. 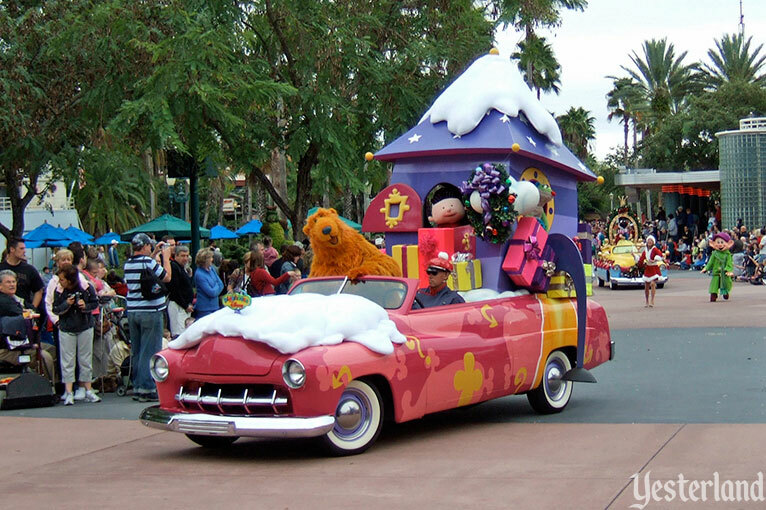 The cars, which are all themed to movies or television programs, are now decorated with snowdrifts, wreaths, garland, gift boxes, ribbons, and ornaments. 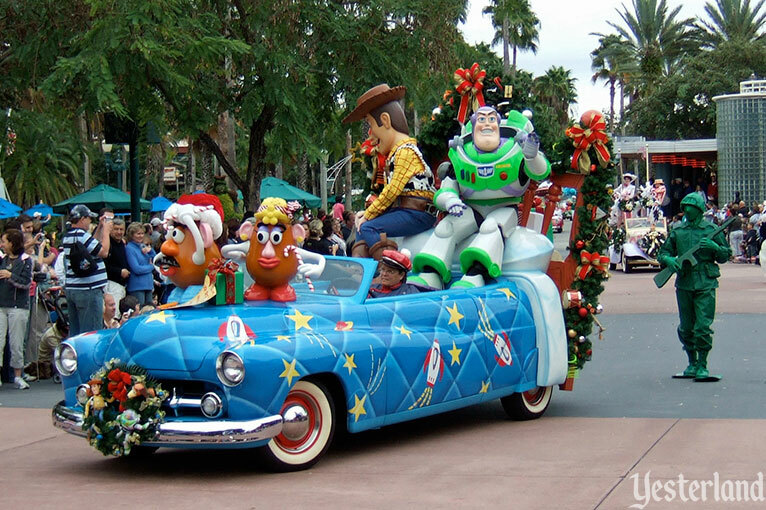 To the music of “Walkin’ in a Winter Wonderland” and other holiday favorites, Disney characters and other parade performers walk, drive, and dance their way down the parade route. 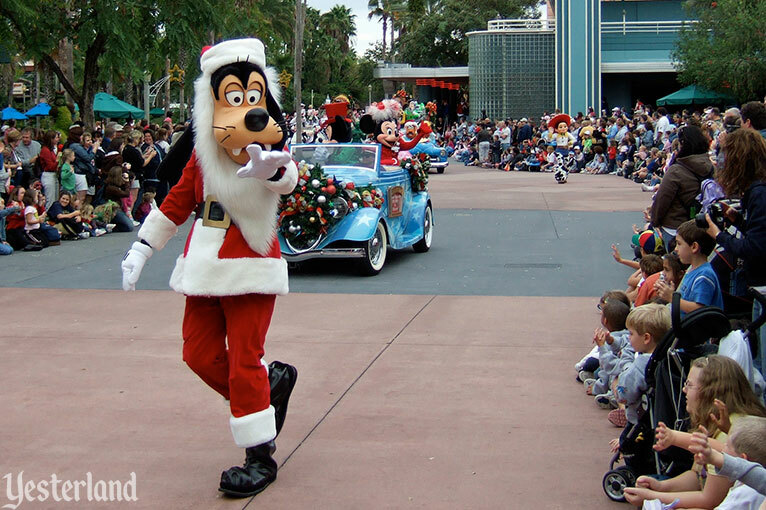 It’s Santa Goofy… Or is it Goofy Claus? 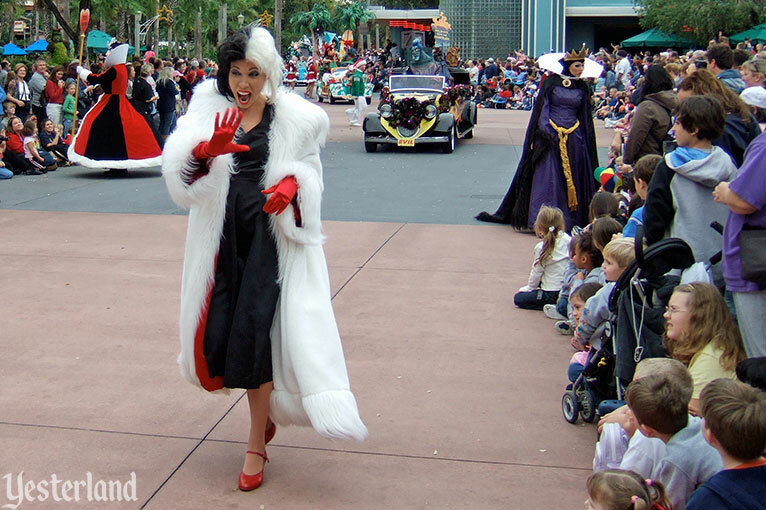 Cruella de Vil, where is your holiday attire? 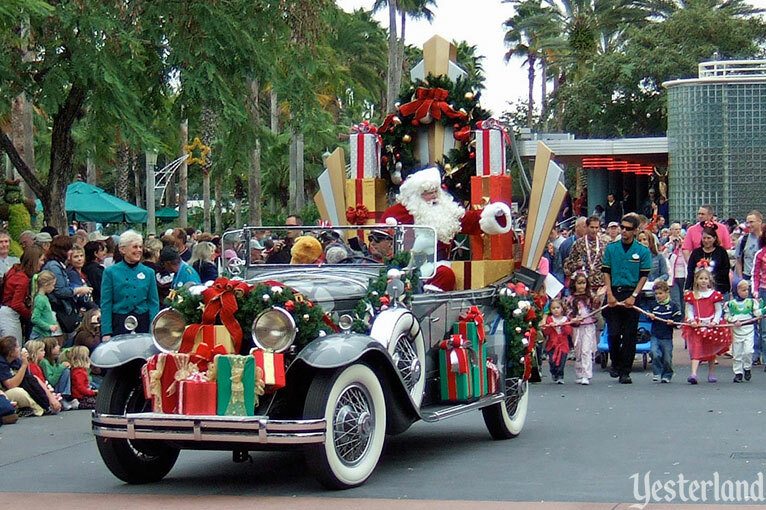 Yes, the biggest star gets the biggest car, a 1929 Cadillac. 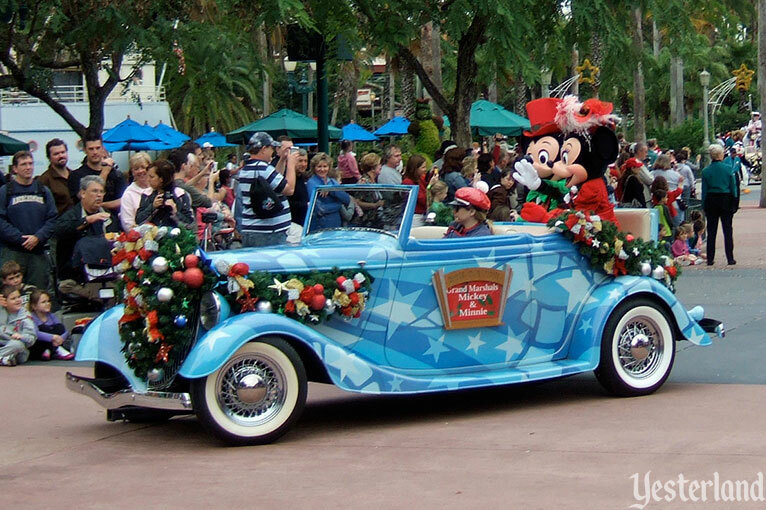 The regular Disney Stars & Motor Cars parade ends with Mickey and Minnie Mouse in the grand Cadillac. 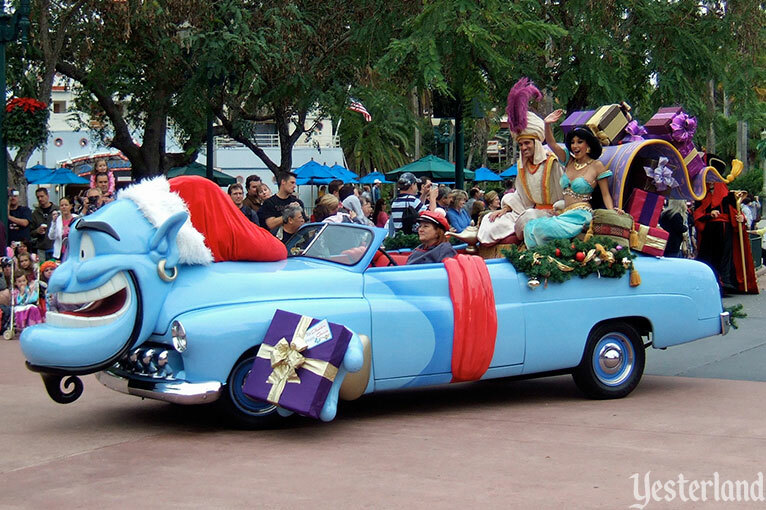 During the Christmas season, Santa Claus is a bigger star than Mickey, so Santa gets the Cadillac. 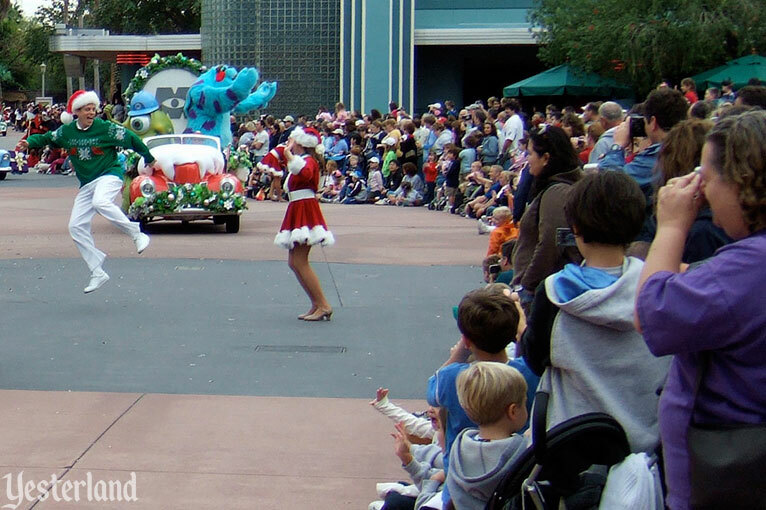 And that’s the end of the holiday version of the parade. 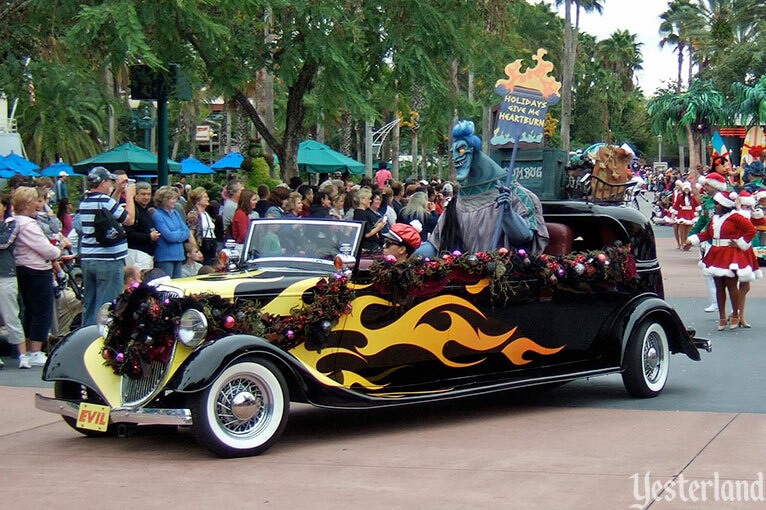 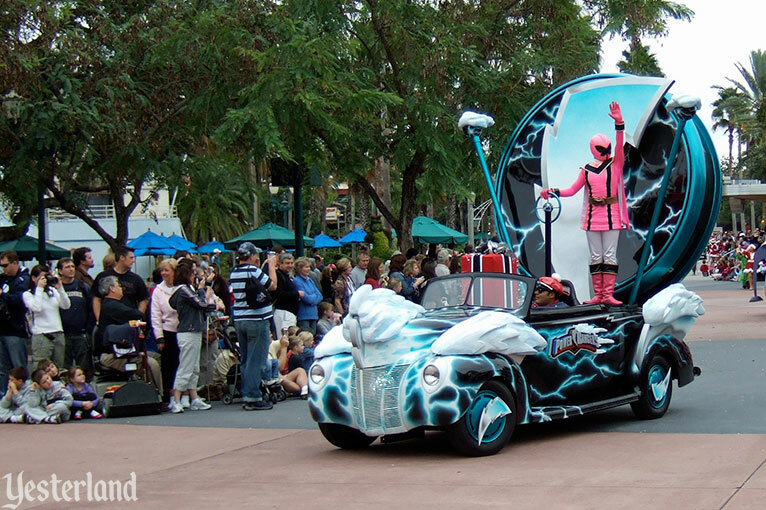 The Disney Stars & Motor Cars parade ran from October 1, 2001, through March 8, 2008, at Disney-MGM Studios (which became Disney’s Hollywood Studios at the beginning of 2008). 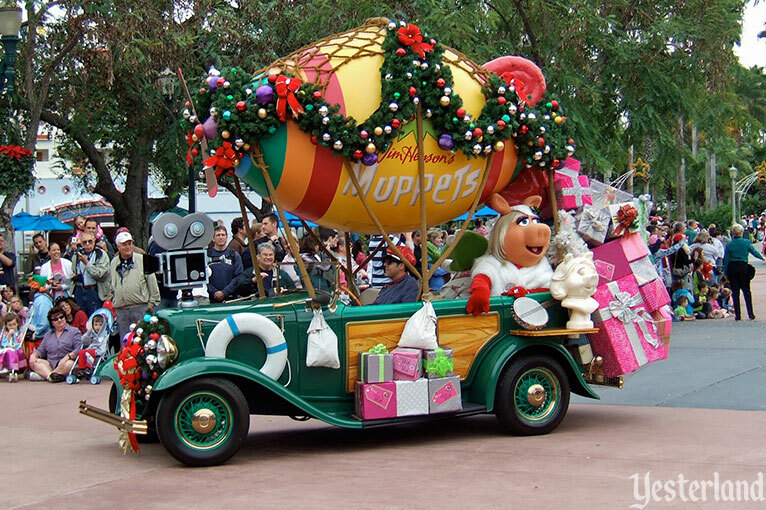 For the first three years, there was no special holiday version. 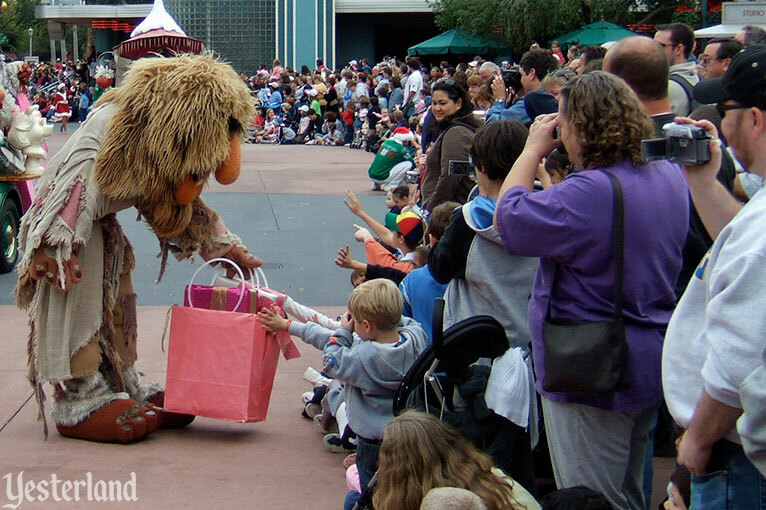 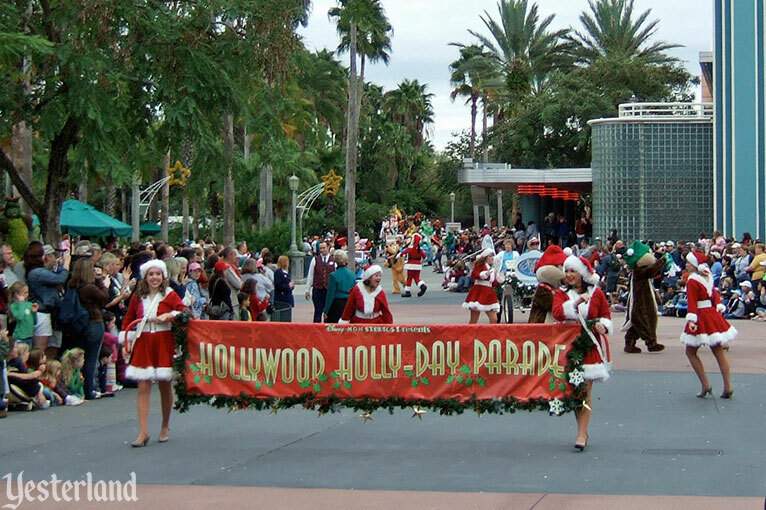 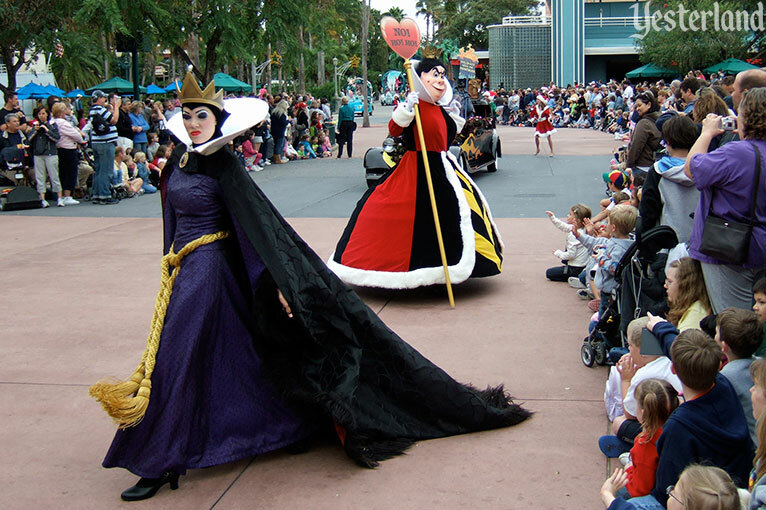 The Hollywood Holly-Day Parade debuted on November 24, 2004, and ran through New Years Day. 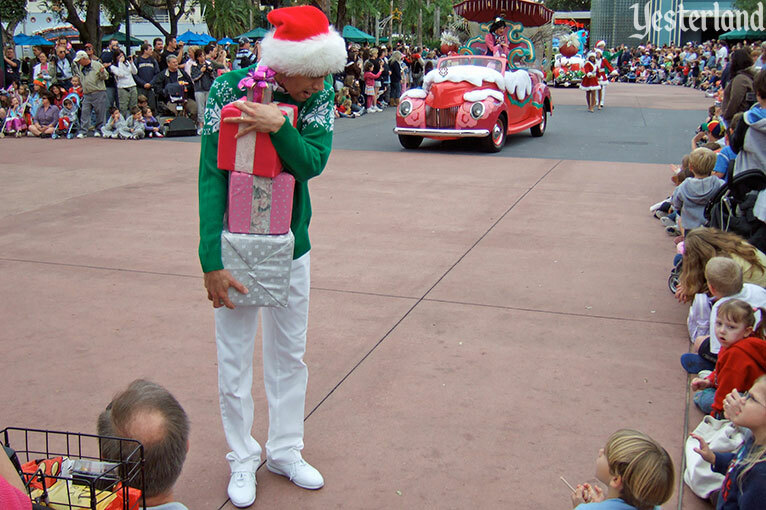 The holiday makeover returned for the 2005, 2006, and 2007 holiday seasons. 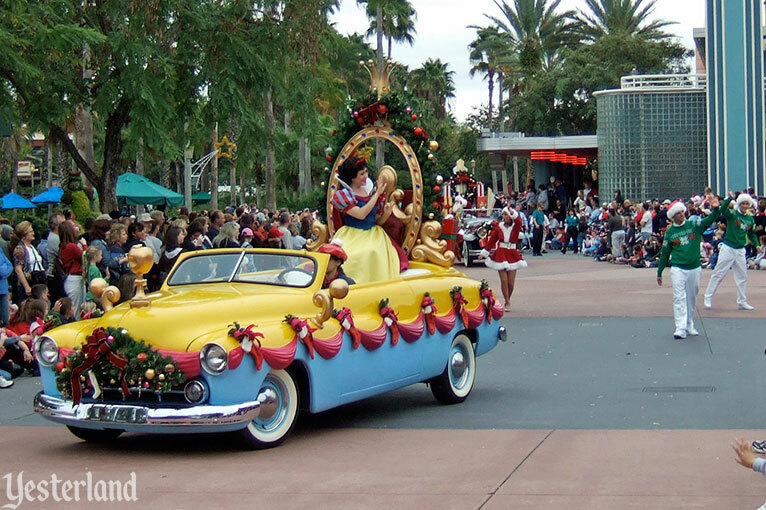 For more information about the parade and its history—and the real story about those “vintage” cars—see Disney Stars & Motor Cars.